Hardcover, 11.75 x 9.5 in. / 376 pgs / 840 images. 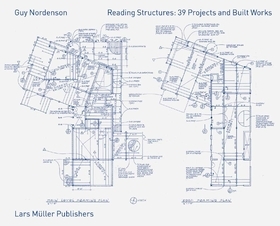 This monograph presents 39 complex structures by the Princeton University professor and structural engineer Guy Nordenson. The body of work, developed with architects and artists including Raimund Abraham, Henry N. Cobb, Steven Holl, Michael Maltzan, Richard Meier, SANAA, and many others, reveals Nordenson’s unique contributions to a progressive collaborative design process as both engineer and designer. 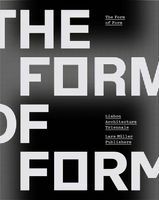 The structures in this volume span twenty-eight years, from his early work with Paul Weidlinger, to his formation of the New York office of Ove Arup & Partners, through the first 13 years since the 1998 establishment of his current independent practice, Guy Nordenson and Associates.The volume is organized around three thematic sections: Engineering Ephemera, Simply Supported, and Building History. It includes Nordenson’s essays on these themes, as well as his individual project descriptions chronicling the vision and challenges of each. Barry Bergdoll, architectural historian, curator, and critic, provides an introduction. FORMAT: Hbk, 11.75 x 9.5 in. / 376 pgs / 840 images.